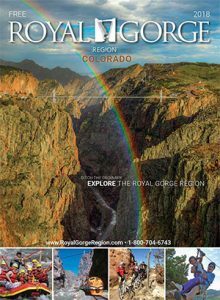 The Royal Gorge Region has several fantastic trail systems accessible year-round, including the famed Oil Well Flats, The Hogbacks Open Space, and the South Cañon Trails. 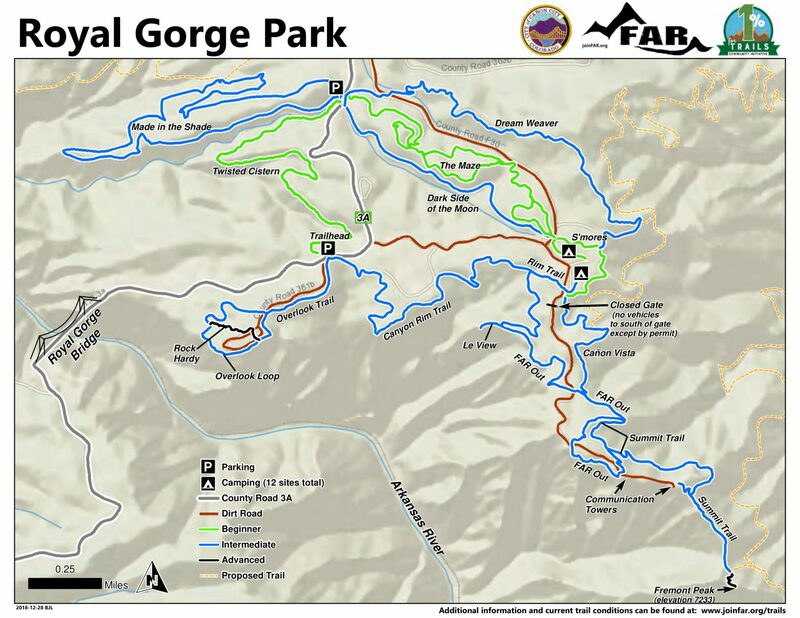 And now, the Royal Gorge Region can add yet another trail system to that ever-growing list—the Royal Gorge Park Trails. The 5,000-acre Royal Gorge Bridge and Park, managed by Cañon City, is home to one of the most beautiful and iconic natural wonders in the state. And now, it’s easier than ever to get an up-close view thanks to the Royal Gorge Park Trails System. Completed in 2018, the Royal Gorge Park Trails System traverses the gorge’s rim and surrounding hills, giving hikers and mountain bikers over 17 miles of singletrack to explore and incredible views of the Sangre de Cristo Mountains and the Arkansas River as their backdrop. The park’s landscape is filled with rocky outcroppings that stand out from the panoramic horizon of the Sangre de Cristo mountains in the distance. Whether you’re looking for a 15-mile ride or a quick three-mile hike, the Royal Gorge Park will keep you exploring. If you’re going to start anywhere, start your hiking or biking adventure on the classic Canyon Rim Trail, the first ever built trail around the gorge. The Canyon Rim Trailhead is located on CR3A, and once on the trail, you’ll catch views of the Royal Gorge, including unmatched views of the famed Royal Gorge Bridge. You may even see the Arkansas River winding its way through the 1,000-foot canyon. Mountain bikers will discover the flowing, scenic qualities of the newest trails in the system as they venture off the Canyon Rim Trail and onto Dark Side of the Moon and The Maze. These popular trails offer berms, turns, and bumps that keep bikers of all abilities coming back for another round. Before riding trails, please check trail conditions at www.joinFAR.org/trails. Please observe right-of-way etiquette and yield to hikers and equestrian riders. 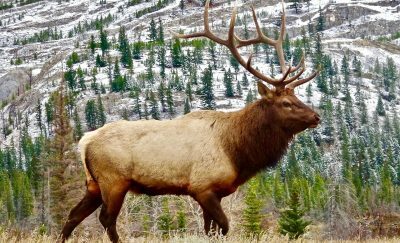 Help keep the Royal Gorge Region trails beautiful by observing all stewardship principles, including packing out any waste or trash, staying on the trail, and avoiding all wildlife. 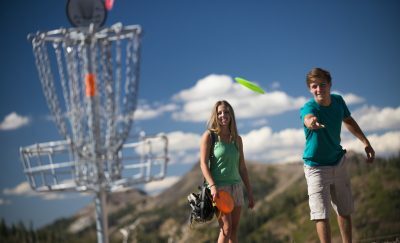 Give back to local trails by visiting local businesses who participate in the ‘1% for Trails’ program – see http://www.joinfar.org/1-for-trails.html for more information.